Dive right in. Fearlessly Create. From day one you get your hands dirty at Columbus College of Art & Design. Skim our student-curated survival guide to CCAD. 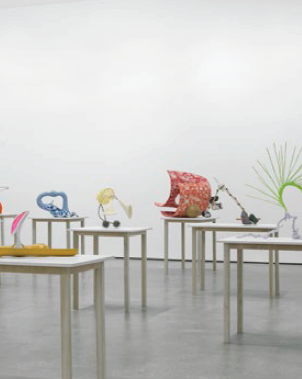 Click through to see our fav art & design stuff and CCAD program highlights. 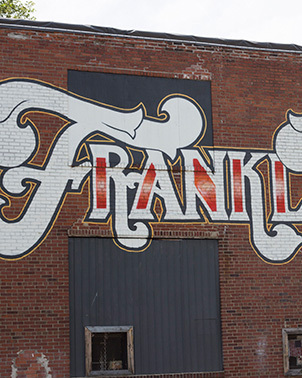 CCAD's influence is apparent in Franklinton, Columbus' oldest neighborhood. The arts district is packed with affordable artist studios, emerging galleries, and countless high-tech design companies — all of which are filled with CCAD alumni and students. Our alumni have gone on to start their own businesses, work at big-name companies, and use their art and design degrees in all sorts of ways. Check out a few of their stories. Columbus, with its thriving creative communities, has numerous art and design spaces and ever-expanding districts that are closely tied to CCAD artists and designers. The city has all the culture and amenities of a big city, but in a way that feels accessible and achievable. 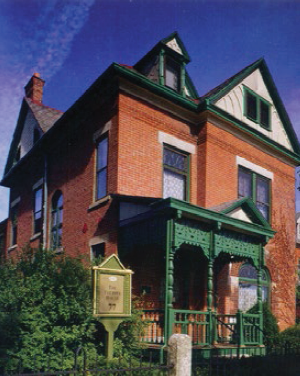 Learn more about CCAD and Columbus here. At CCAD, we want every student to have an opportunity to pursue their passion, regardless of their means. Funding your education at CCAD may come from several primary sources — some of which you may or may not have to repay after graduation and others that you'll never have to repay. Your final award package may be composed of scholarship, grants, loans and student employment. Each student award package is different, and we encourage you to explore all the funding options available to you. We recognize that a college education is a huge investment for most families. So we do our part by working hard to enhance the educational experience and provide value that will accompany students for the rest of their lives. View CCAD's current tuition and fees. CCAD offers a limited number of grants. These grants are based on the financial need calculated once a student has submitted their Free Application for Federal Student Aid (FAFSA). CCAD provides millions of dollars in scholarships each year to our students. We offer two types of institutional scholarships: academic scholarships and merit scholarships. Learn more about CCAD and Columbus. 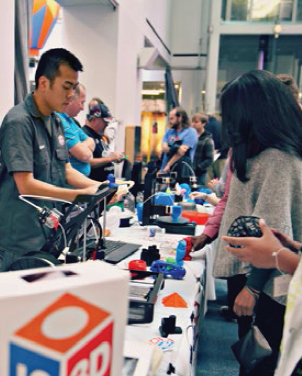 No 1 opportunity city in the U.S.
We'll help you build your brand and introduce you to art and design industry leaders (think Pixar and Hallmark) at recruiting events and internship and job fairs. We'll also help with resumes and cover letters so you can land your dream job. Get one-on-one guidance from our Advising Office as you create your own story at CCAD. Your advisor reviews your individual academic plan, helps you prepare your schedule for upcoming semesters and guides you in identifying academic goals. Work it out at one of CCAD's two fitness centers on campus. Diversity moves art forward and makes our connected community even stronger. Our Student Engagement & Inclusion office is here to help build a welcoming and supportive environment for you on campus. We coordinate special events, exhibitions, and workshops that explore diversity topics and current events. Diversity moves art forward and makes our connected community even stronger. Our Multicultural Affairs Office is here to help build a welcoming and supportive environment for you on campus. The office coordinates special events, exhibitions and workshops that explore diversity topics and current events. And multicultural student organizations are here to connect you with other students so you can learn from one another's experiences. Sharpen your writing, improve your time management and study skills, or connect with a peer tutor (we call them Creative Coaches). The Learning Support Office also assists with accommodations for learning differences and other challenges. Do dining right. CCAD's main dining option on campus, the Market, serves made-to-order pizzas, along with fresh salads, entrées and gluten-free, vegetarian and vegan options. To thrive is to pursue wellness, practice balance and keep the whole person in mind. It's an ongoing process and each wellness area in our lives — the physical, emotional, social and intellectual — is important. The Counseling & Wellness Center, which provides free counseling, is here to help you get to know your process and meet your goals. Do it all in one place. Meet with your advisor, schedule courses, check on financial aid, make payments, submit address changes, verify enrollment and degrees, and order transcripts at the One-Stop Student Services Office. We make sure our campus is a safe and productive learning space for you. And we have security officers on call 24/7. CCAD has two on-campus residence halls: Design Square Apartments and Schottenstein Residence Hall. Living on campus, especially your first year, allows you to meet people outside of your major and explore our campus and city. 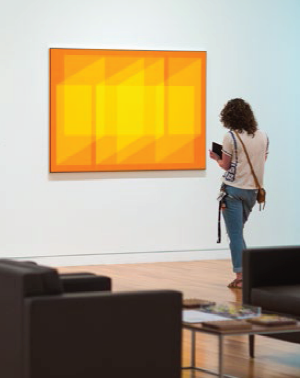 Located in the heart of the CCAD campus, Beeler Gallery features compelling exhibitions, plus innovative and creative speakers, from designers to writers to musicians. All Beeler events are free. More than 140 artists, craftspeople, designers, and performers have set up shop in 400 West Rich, a warehouse-turned-arts-complex in Franklinton, home to affordable studio space, galleries, community rooms, classes and more. Franklinton-based Columbus Idea Foundry is a community workshop, learning center, and creative space that provides training and access to tools and technology, from the conventional to the cutting-edge. 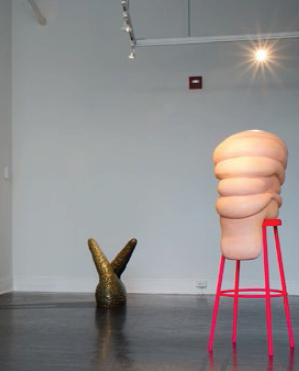 The Pizzuti Collection, in the Short North Arts District, showcases work by world-class contemporary artists and designers Fernando and Humberto Campana, Indian artist Sakshi Gupta, and Cuban artist Roberto Diago. 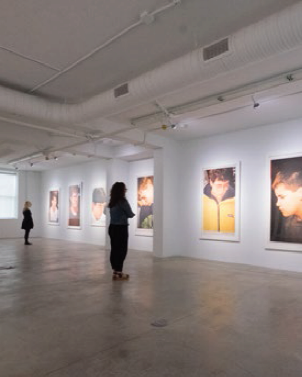 Located in the Short North, this beloved nonprofit gallery featuring top-notch curation shows the work of emergIng artists (often CCAD students). 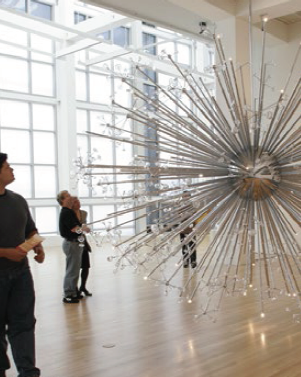 Ohio State University's Wexner Center for the Arts is one of the city's finest exhibition and performance spaces, attracting works by acclaimed artists. 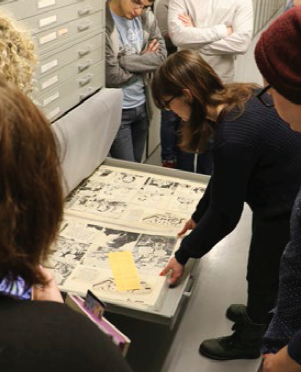 The Billy Ireland is the world’s largest and most comprehensive academic research facility dedicated to cartoons, including original and printed comic strips, editorial cartoons and cartoon art. This literary center for readers and writers, housed in the historic former home of author, humorist and New Yorker cartoonist James Thurber has attracted writers like John Updike, T.C. Boyle, Tracy Chevalier, and Scott Turow.